Undergraduate students interested in entering Buffalo State's computer information systems program must apply through Undergraduate Admissions. First-year students are welcome to apply for admission as a CIS pre-major (0824). CIS faculty will advise incoming students on where to start in our curriculum. Any student in good academic standing that has successfully completed CIS 151 may switch into the CIS major. First-year students typically do this in their second semester.  Prospective graduate students interested in entering the learning design and educational technology program at Buffalo State must apply through the Graduate School. Transfer students holding A.A.S or A.S. degrees in a parallel program (CIS, CS, DP, etc.) are accepted into the major on a competitive basis. Transfer students who have completed some computer courses (equivalent to CIS151 or higher) may also apply for direct admission to the program. Others can apply as general first-year, non-matriculated students, or as CIS pre-majors. Students seeking admittance into the CIS major must earn at least a "C" in CIS 151 (or its equivalent) and an overall GPA of 2.5.